Robert Mabbett made history by becoming the first ever Betfred winner of the Racing Post/SIS betting shop manager of the year award! The 37 year old, who has only been in the industry five years has always put the customer first – and has made great efforts to ensure his Welton Road shop in Brough, East Yorkshire is at the centre of the community. He impressed judges after taking part in a cyclathon to raise money for the mental health charity Mind and helped raise £120 for MacMillan with a coffee morning supported by regulars at his busy shop. Already crowned regional champion on the north-east, father of two Mabbett was put forward into the final eight candidates for his outstanding efforts. He was announced as the national champion at a glitzy award ceremony at the Jumeirah Carlton Tower Hotel in London. 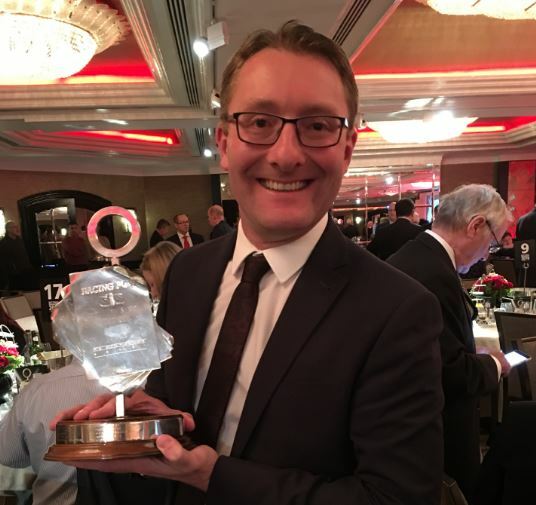 “I’ve worked for Betfred for five years and I am absolutely delighted to be crowned Betting Shop Manager of the Year. “I love working in sport and I love working with customers. 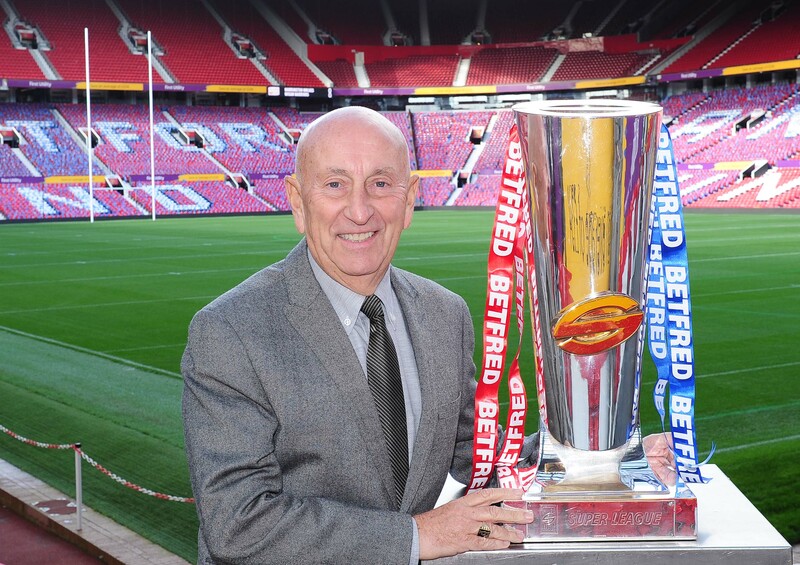 Betfred boss Fred Done said: “I am absolutely delighted we have won this prestigious award for the first time and all credit to Robert! “He will be a great ambassador for our industry and it is well deserved. “I would like to thank all the judges and everyone involved in this competition. Mabbett’s efforts have won him a VIP trip to Singapore in July next year for their Emirates Singapore Derby meet and a trip to Ascot in the private box of SIS. Chairman the judging panel, Brough Scott said: “Robert emerges as a wonderful winner in an extremely high quality set of regional champions. Representative for award sponsors SIS, Helen Scott, added: “Yet again we were treated to eight excellent performances at final judging – each year the quality and calibre never ceases to impress. After celebrating with friends and colleagues in a London pub after the ceremony on Monday, hard-working Mabbett was typically back at Brough at 8.30am next day to get ready for work.